More than just a plain white tee. Velvet top. Paige jeans. Urban Outfitters hat. Saint Laurent bag. Nixon watch. Fortress of Inca shoes. I love putting on a great pair of jeans to run out the door, but it's never, ever been that simple for me. 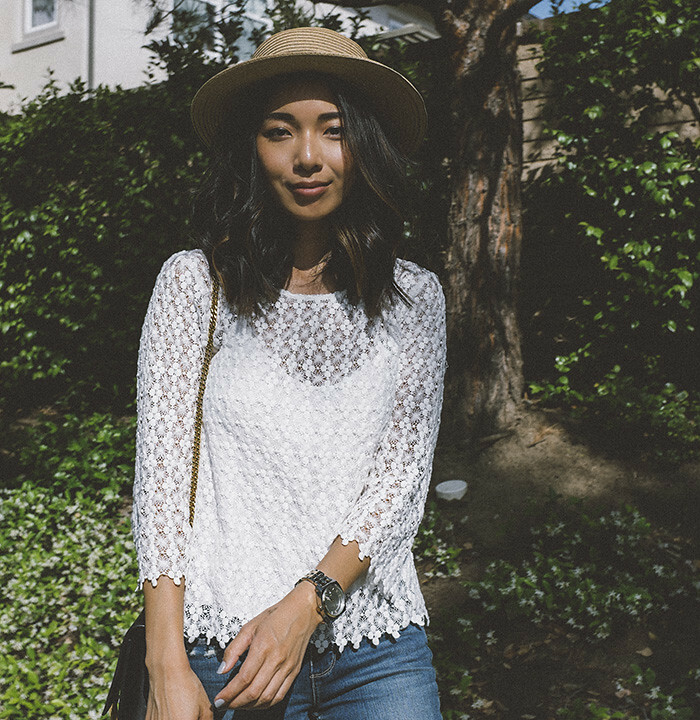 It takes even longer to find a suitable top that is more than just a v-neck tee or one of many tencel button-ups in my disposal. Velvet by Graham and Spencer helps solve this on-the-go dilemma, by supplying my closet with beautiful, non-basic tees that are as effortless as the plain white original. 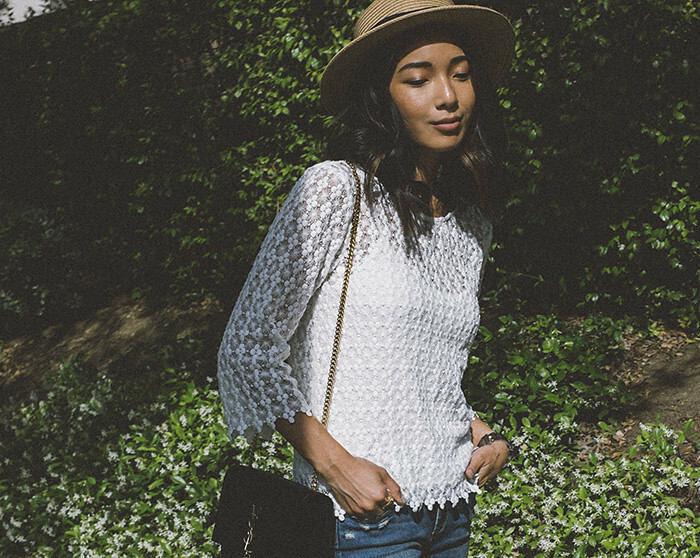 This 70s throwback lace-y top is so great layered over jeans or tucked into high-waist shorts for a carefree look. 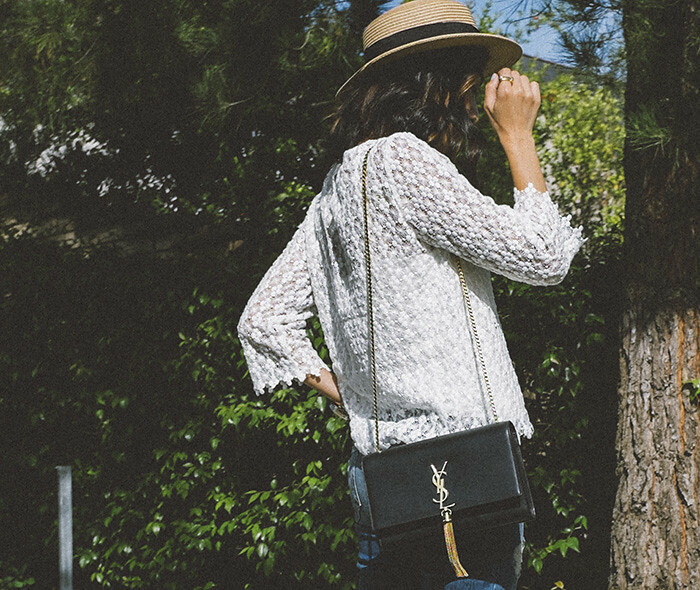 Loving all your accesories: the hat, bag, shoes,,they look just perfect with this outfit!